A lack of investment in public healthcare apparatus has necessitated a dependency on private hospitals, which in turn exploits the absence of regulation of fees in the sector. The election manifestos of both the BJP and Congress promise affordable healthcare. The BJP manifesto makes a broad statement about the reduction of out-of-pocket expenditure without mentioning its exact approach to it. The Congress manifesto, on the other hand, provides some concrete suggestions. Their first promise is to enact a Right to Healthcare Act to ensure free healthcare to all citizens through a network of public and private hospitals. Secondly, Congress has promised to move away from its previous approach of an insurance-based model to provide universal healthcare. However, both the parties are silent when it comes to the burning issue of the exorbitant charges in private hospitals. The lack of public investment in healthcare infrastructure development has created a dependency on the private sector to meet peoples’ healthcare needs. However, there is a regulatory vacuum when it comes to healthcare charges. Often, private hospitals take full advantage of this regulatory vacuum and overcharge the patients. In 2015-16 the share of household out-of-pocket expenditure including the payment for health insurance constituted 64.7 % of the Total Health Expenditure (THE). 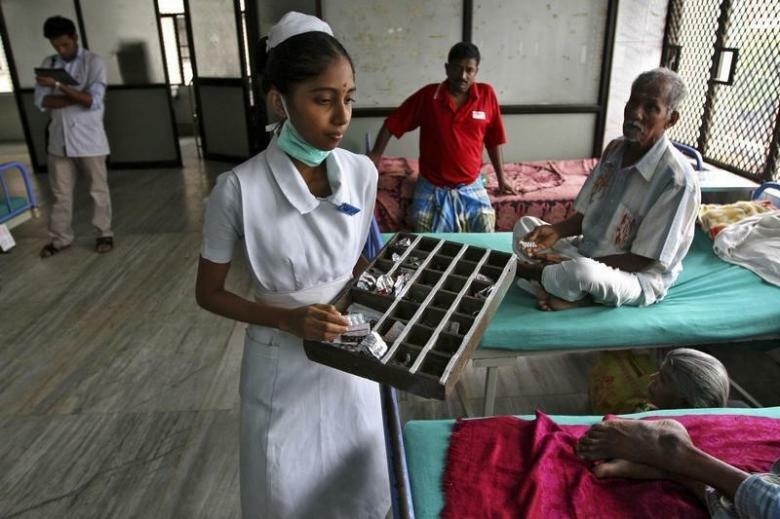 In India, 55 million people are annually pushed below the poverty line due to healthcare payments. In 2017, the country was shocked to hear that two families had to pay nearly Rs 16 lakhs each for the two weeks of inpatient care of their children for the treatment of dengue-related complications. The National Pharmaceutical Pricing Authority (NPPA) inquiry into these two inflated charges revealed that hospitals were producing medicines at a cheap price and selling them to patients at the maximum retail price (MRP). The analyses of the hospital bills found a mark up between 375% and 1700%. The Drug Price Control Order of 2013 stipulates ceiling of MRP for medicines mainly in the national list of essential medicines and has provided full freedom to the pharmaceutical companies to fix the MRP at a high level. This provides the regulatory space to facilitate corporate hospitals to demand high mark-ups from pharmaceutical companies. The NPPA analyses show that a major portion of hospital bills – 55% – is payments for medicines and other consumables. 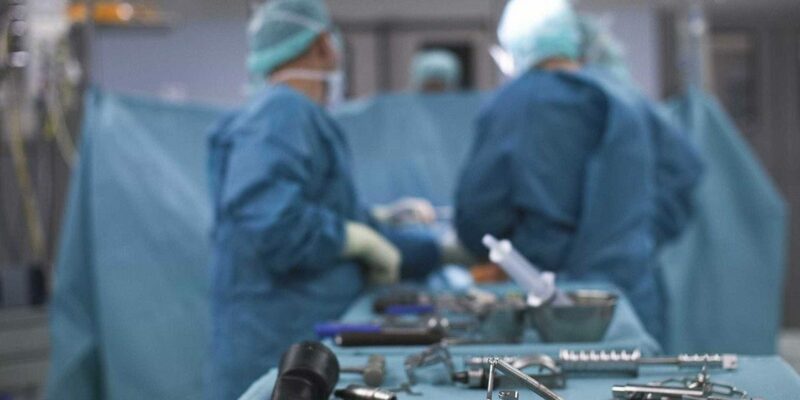 However, past experiences show that even if the government caps the margins or prices of the consumables, the hospitals then increase the charges for procedures and other services and refuse to pass on the benefit to the patients. In the case of cardiovascular stents, immediately after the prices were capped, hospitals increased the charges for procedures. Therefore any effective remedy to ensure affordable healthcare charges can be done only through the ceiling of healthcare charges in private hospitals. In India, there are sector-specific regulators covering most of the basic services like telecom, electricity etc. and these regulators proactively fix the user charges. Therefore, it is quite astonishing that there is a regulatory vacuum when it comes to healthcare charges. This regulatory vacuum is exposing a majority of the Indian population to exploitation by private hospitals. Healthcare charges of private hospitals are already capped under various health insurance schemes such as Central Government Health Scheme (CGHS), Employees’ State Insurance (ESI), Pradhan Mantri Jan Arogya Yojana (PMJAY) etc. However, thousands of people are still outside the ambit of these schemes and exposed to the exploitation of the private sector. For instance, even if the BJP’s flagship programme of PMJAY succeeds in covering 50 crore people while leaving another 80 crore at the mercy of the private hospitals due to lack of comprehensive coverage under some of these schemes, sometimes patients have to pay from their own pocket. Instead of directly intervening and regulating the healthcare charges, the state and Central governments intervened through insurance schemes to reduce the financial burden of patients. Often, these schemes function as a cross-subsidisation or by increasing footfalls for the private sector. Studies have shown that even after insurance schemes like the Rashtriya Swasthya Bima Yojana (RSBY) and various state government sponsored insurances schemes, there is no change in the burden of out-of-pocket expenditure. Often hospitals use these schemes to attract patients and charge them heavily by offering services outside the scheme. The Central Clinical Establishment Rules, which is to implement the Central Clinical Establishment Act (CEA) stipulates that the clinical establishments shall charge the rates for procedures and services fixed by the Central government in consultation with the state government. Though the rules were framed in 2012, the Central government has not fixed the rates. Similarly, the Draft Charter of Patients Rights, a joint initiative of the National Human Rights Commission and Ministers of Health is also silent on the ceiling of health charges. The Charter, without any regulation or ceiling on healthcare charges, would not offer any relief to the people who are exposed to financial exploitation from private sector hospitals. A few states have chosen to enact their own CEAs, with the exception of Bengal which has ignored the issue of regulation of healthcare charges. The government of Bengal is yet to implement the provision on the healthcare charges. The Congress manifesto promises the implementation of CEA to “bring accountability to the functioning of private and public clinical establishments”. One can interpret this promise to include the implementation of regulation of rates mentioned in the Clinical Establishment Rules. The implementation of the CEA would not make any changes in other states which opted out from the adoption of Central government’s CEA 2010. This inaction regarding the healthcare charges celling is morally and legally wrong. India, as a party to the International Covenant on Social and Economic Cultural Rights, has an international obligation to protect its population from the exploitation of the private hospitals. Similarly, the right to health is recognised as a fundamental right under Article 21 of the constitution which places a constitutional obligation upon both the Union and state governments to regulate healthcare charges. Even though health is listed as a state subject, the constitution provides the Union government with enough powers to regulate healthcare fees. Article 243 of the constitution provides legislative competence to the Union government to legislate upon any subject matter in the state list to fulfil an international obligation. The concurrent list entries, like price control and essential services, also provide powers to the Central government to regulate the healthcare charges of private hospitals. Irrespective of their ideological orientations, both the BJP and Congress manifestos failed to offer an immediate and practical solution to the private sector hospitals’ exploitation of people and only promised free healthcare or reduced the out-of-pocket expenditure, which would, in reality, take years to realise.